from your iPhone, iPad, or iPod Touch. 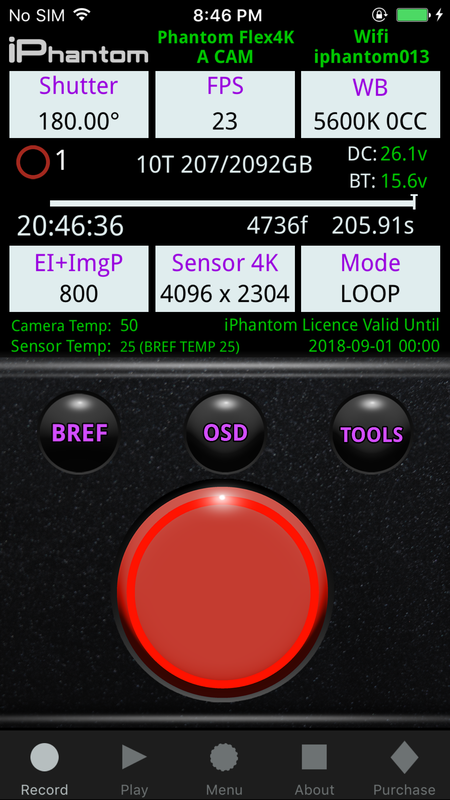 Support for ALL Phantom Cameras with features including trigger, playback, save to cineMag, save to cineFlash, partition, adjust fps, shutter angle, gain, and more. * Camera’s on old firmware may not support all features. Full compatibility may require your camera to be on it’s latest firmware available.